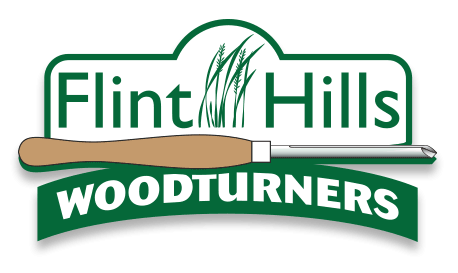 Alan Lacer is a legend among woodturners and he will be coming to Flint Hills Woodturners in May for not only our regular meeting on the 4th but to teach workshops on the 3rd and 5th, also. This is a guy who knows his stuff and does a great demo. The workshop on the 3rd will be making a box. The demos at our regular meeting on the 4th will be on skew work, sharpening in general, making and using a hook tool, and turning a box. Alan’s demonstrations will continue after lunch and we will be ordering in pizzas but will ask everyone to chip in $5 for lunch. The workshop on the 5th will be on using the dreaded skew. Once you learn how useful that tool is and how to use it, you will wonder why you have shied away from it all this time. Alan’s forte’ is in using the skew and his demo on Saturday will whet your appetite for more. Our regular schedule continues the first Sat of each month. You can see to the left what our May meeting program will be. Contact Dennis Biggs at one of our membership meetings if you would like to be a demonstrator for the club. Dennis can help you decide what topic may fit best into our demo continuum and you will become an important part of woodturning education in Kansas.